This fun hat lives up to it's name as it is just as light as a cloud on your head but yet is made from durable earth friendly hemp. Hemp protects you better from the UV rays of the sun because of the denseness of the fiber. 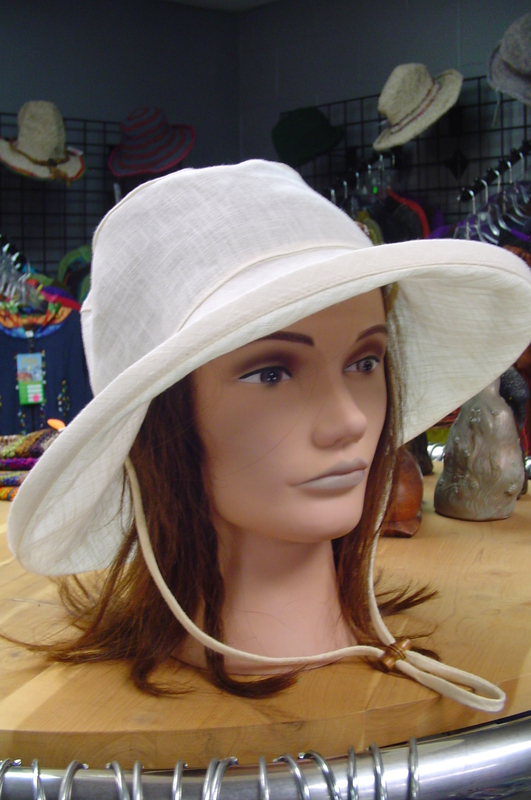 Wear this hat to shade and cool you in hot summers. Handy chin strap keeps your hat in place. This hat made by Lost Coast Hemp is one of our top selling hats!